BEVERLY HILLS, Calif. (AP) — Thursday's Oscar nominations had some new language in the foreign language category: Nominee "Omar" was described as being from "Palestine," a reference the Academy of Motion Picture Arts and Sciences has carefully avoided in the past. 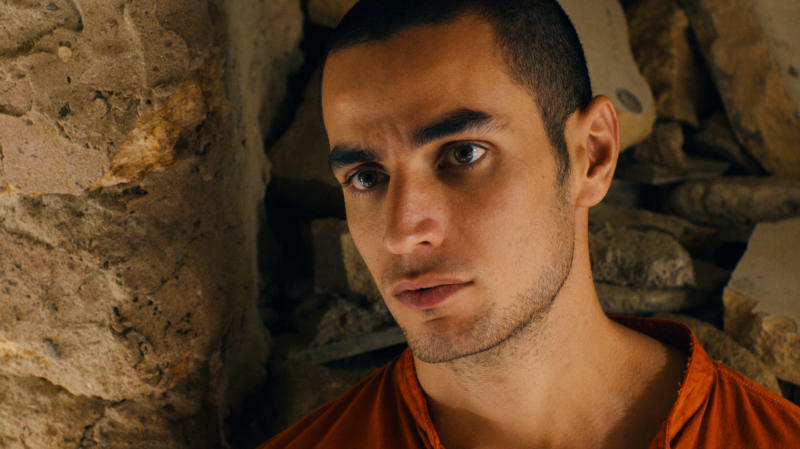 "Omar," a drama set amid the Israeli-Palestinian conflict, was directed by Hany Abu-Assad, whose 2005 thriller "Paradise Now" was also nominated in the foreign language category. But after a tussle with the Israeli consulate in Los Angeles, the academy chose to refer to the film as a product of the "Palestinian Territories" or "Palestinian Authority," rather than simply "Palestine." After hearing the news of his latest nomination and how it was identified, Abu-Assad said Thursday that having the academy refer to his entry as being from Palestine was a step in the right direction. "The world starts to recognize that without giving the Palestinians a just solution, there will always be problems, there will always be something wrong," he said in a phone interview. "I'm happy to get recognition from people in this business and to represent Palestine," he added. "It's not a country yet, it's not a state, it's a nation fighting for equality and freedom and justice and to represent that is an honor." Assad said he's also received positive reviews for "Omar" in Israel, whose own Oscar entry, "Bethlehem," focusing on the relationship between an Israeli agent and his Palestinian informant, did not receive a nomination on Thursday. Regarding its apparent change in policy about describing Palestine, academy spokeswoman Teni Melidonian said, "We follow United Nations protocol. This is not a political situation at all. We are just in the business of honoring filmmaking." Israel's culture and foreign ministries and the Israeli consulate in Los Angeles declined to comment. Rabbi Marvin Hier, director of the Simon Wiesenthal Center in Los Angeles, had more to say: "Getting the academy's recognition may be nice for the Palestinians, but the only recognition that really counts is the recognition that will come when they reach an agreement with the people of Israel," said Hier, a member of the motion picture academy. "Legally, there is no such country as Palestine until there will be a settlement of the Palestine-Israeli conflict."